Got out before the rain around 11 am this morning and snagged a nice 4.93 lb bass on my first cast. Relatively close to shore in shallow water on a pumpkin green caffeine shad Texas rigged. Had two others on, but they both came unbuttoned. No takers on a jig or swimbait. Awesome December day to be fishing and likely my last day out for 2014 so glad I could score a decent bass. 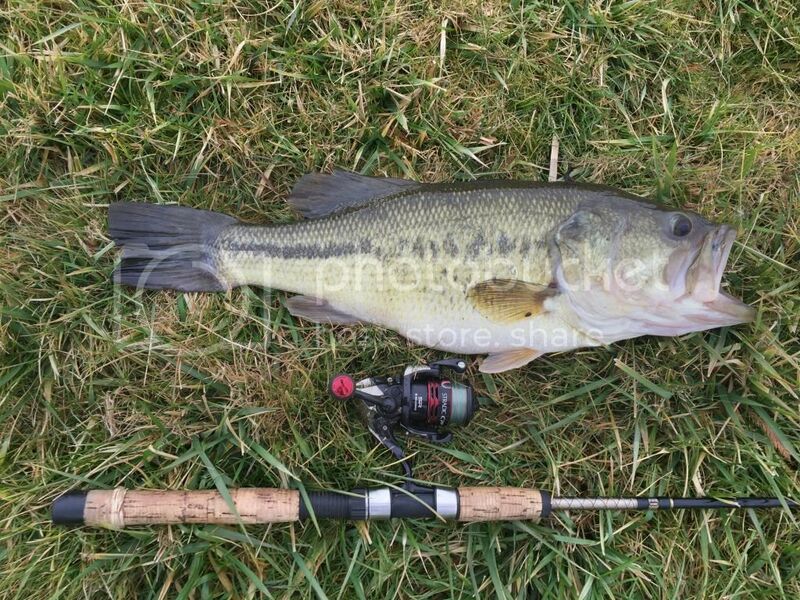 Wow....you use a really small reel! Nice way to finish the year!